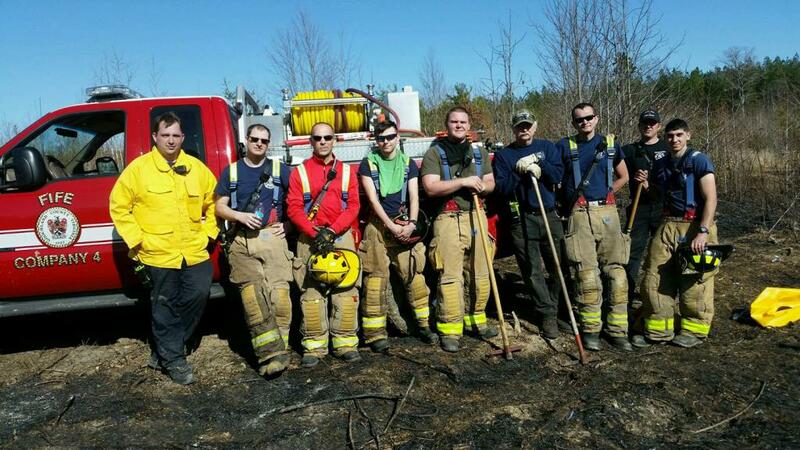 Company's 5, 6, 4, 3, & 2 all responded yesterday to assist with a brush fire on Cabin Road. Goochland also requested assistance from Virginia State Police Med-flight, the Virginia Department of Forestry, Louisa County's Locust Creek Fire Department, and Fluvanna County's Kent's Store Fire Department to extinguish the fire. While the area burned was not very large, firefighting efforts were complicated by terrain features and heavy brush growth. While those units were being utilized at the brush fire, Manakin Fire-Rescue, Louisa County's Holly Grove Fire Department, And Hanover County Fire-EMS Department Station 9 were also handling calls in Goochland County. A big thank you to all the members and departments that responded to help yesterday.